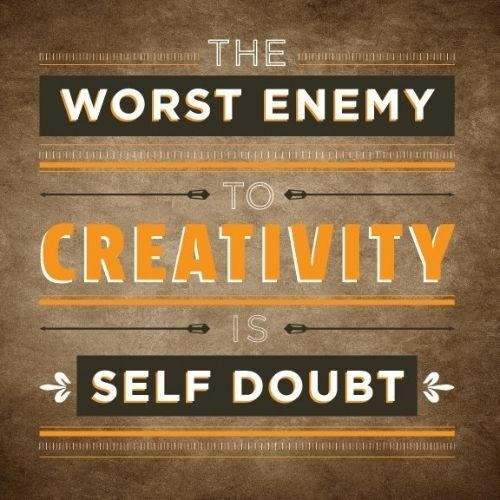 Often times people who want to build something creative they get discouraged from even starting because of overwhelming feelings of self-doubt. 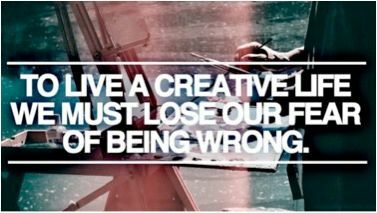 Being creative is all about being as radical as possible. Not in the sense of we should fight the government or anything, but in the sense of we should be ourselves in everything that we do, with no holds barred. We simply don't have time to waste trying to be right; all that we should focus our time on being is ourselves to the max. 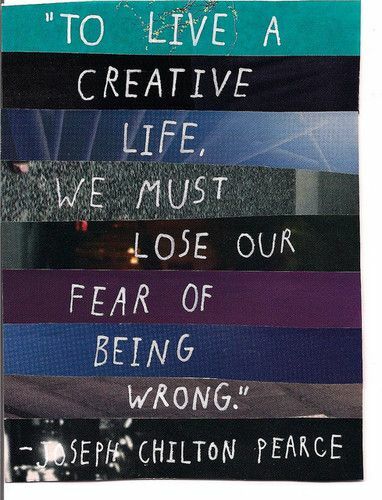 The fear of being wrong, different, or socially unaccepted or unpopular is one of the biggest inhibitors to one's creative juices. When a person can do things without worrying what people will think of him, then a person can use their creativity with no limits, and take their work to places they probably would never of imagined going. One of the biggest rules to being creative is to first disregard everyone's opinion. The creativity you have is what makes your work your own, and changing it to fit into someone else's mold would defeat the purpose of it all. Without the ability to be creative we would have no thirst for knowledge, and we would still be stuck in a primitive mindset, only worrying about the basics of life, food and shelter. But because we have the ability to think freely and to be able to use this free imaginative thinking to create ideas from which we eventually gain knowledge. 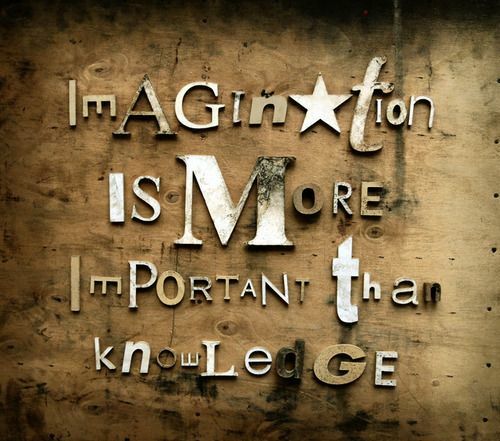 Imagination is the spark for when knowledge seems to be the flame.